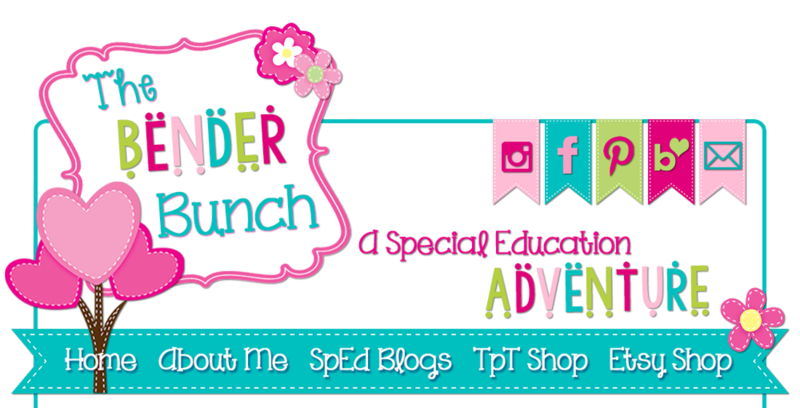 The Bender Bunch: Host a Disability Awareness Day at Your School! 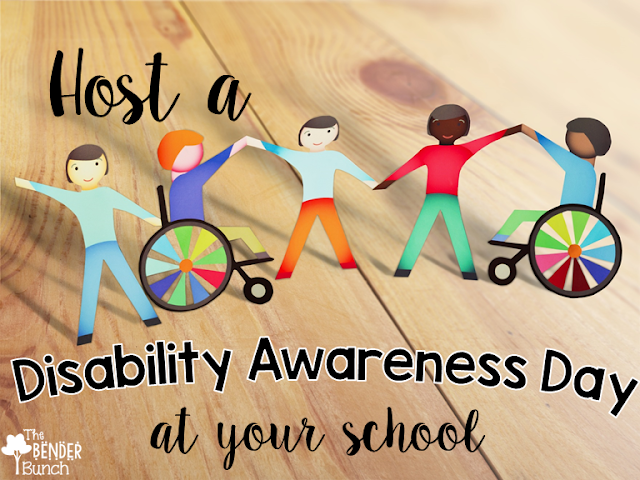 Host a Disability Awareness Day at Your School! Tis the season for spreading disability awareness! Spring seems to be the time where many groups and people engage in spreading awareness since World Down Syndrome Day is in March and Autism Awareness month is April! Every other year, I host a disability awareness day event at my school! Starting this a few years ago was the best thing I ever did! We get such a great response from everyone and the students just love it! It's neat to see how our regular Ed students transform and take on a better understanding of the "special" students that they go to school with every day! They become more caring and understanding. And hearing them talk about it for days, or come up to you a day or two later and say, "Now I understand why _______ does that in class" is just priceless! I host the event for 3rd-5th graders at my school. I do it during the school day and split it into two sessions. Three classes attend the morning session and three classes attend the afternoon session. I have 6 stations. Each station lasts for 20 minutes and has 2-3 activities they must complete. I count students off; 1, 2, 3, 4, 5, 6....to determine who starts where and then students rotate clockwise every 20 minutes when I blow a whistle! With six 20-minute stations and the time taken to explain procedures and count students off, each session lasts for 2 1/4 hours. Here's a look at the activities and the six different stations. I place task cards in all six stations, so students know exactly what to do! My students run the stations! I also have an adult volunteer in each station (typically the parents of my students), and the classroom teachers attending with their class also help in each station! 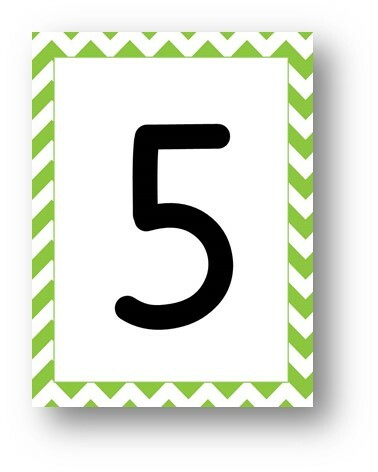 I tape the numbers cards on the ends of the table and place the task cards in 8 x 10 plastic standing photo frames from Dollar Tree to stand on each table (as shown below). ....and the letter I send out to the teachers. Here's a peek at one of the activities at the "Physical Impairment" Station. The students at this station are learning sign language! Here's a "large picture" of the event. You can see 5 of the centers in action here to get an idea of how it looks. It's been two years since I held the event (since I hold it every other year), but I'll be hosting again this May, and I cannot wait! I'd love to see others spreading awareness among our youth and in our schools, so I've compiled all of these resources and printables into a "Complete Disability Awareness Day Kit!" 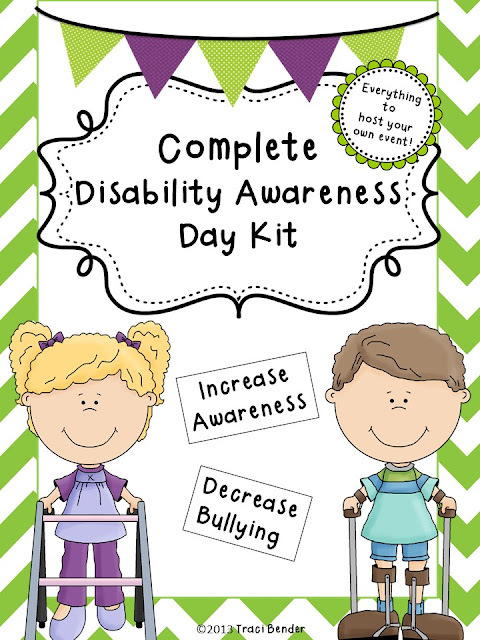 With this kit, you can easily host your own Disability Awareness Day with very little prep or stress! 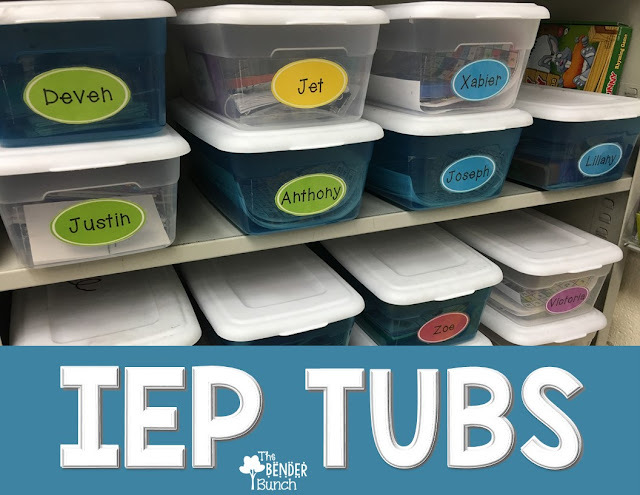 If it's not included in this kit, you most likely already have it in your classroom! 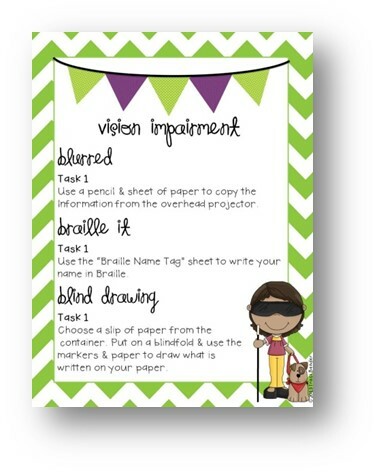 All activity printables, signs, teacher letters, parent letters, letterhead, etc. are included. I hope you'll consider hosting your own Disability Awareness Day event! It really is life-changing for all of the students, and even for some of the staff, and our general Ed students need to have a better understanding of what these individuals live with every day! It will also be life-changing for you! Also when your students can run the stations, it gives them a great sense of belonging and builds their confidence! 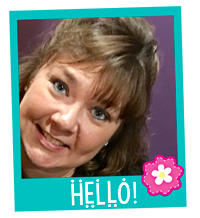 If you'd like to ease your planning, you can take a look at my kit by clicking below!! Also, you can read another post I did about this event here. 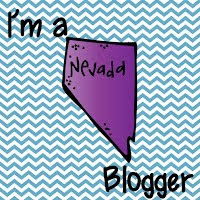 Feel free to drop me any questions you may have about planning your event! I love this idea!! I'm gonna show this to my principal and see if we can make this happen at my school! 11 Ways to Celebrate World Down Syndrome Day!! !